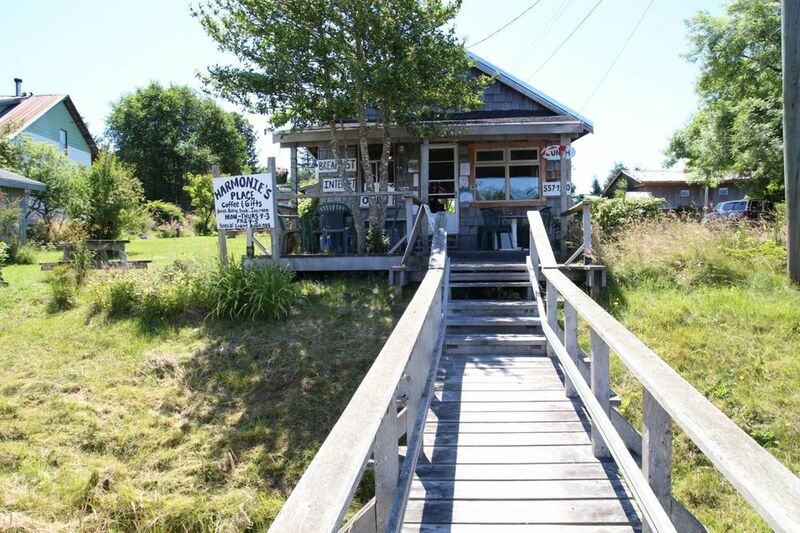 Eating and exploring – the options are endless on Haida Gwaii. After we’d camped at Haydn Turner, we moved up to Tlell, a small community with its own (very small) farmers market, the Haida House lodge, Richardson Ranch, and an incredible sandy beach. We biked, hiked, and went on day trips further north. One morning we drove up to Masset, and headed east towards Tow Hill. Getting there included a drive along one of the most splendid roads we’ve ever been on. It was unpaved but smooth, with tall trees on either side creating a tunnel of light and shadow. On the way was Moon Over Naikoon Bakery, a small wooden structure filling the forest with smells of fresh bread and spice. They sell simple lunches, sweets, and locally-produced artisanal crafts. We bought a cinnamon bun and chocolate chip cookie (fuel for our upcoming hike), and chatted with some locals on Moon Over Naikoon’s little porch. Soon after we arrived at Tow Hill; the hike was steep but easy, and had a very rewarding view – on a clear day, you can see Alaska! At the bottom was an unbelievably awesome beach. We climbed out on the rocks, as close to the sea spray as we dared, and sat with our faces to the sun. Later that afternoon we drove to Masset and found our way to this old cemetery, an inconspicuous place our friend Doug told us about. 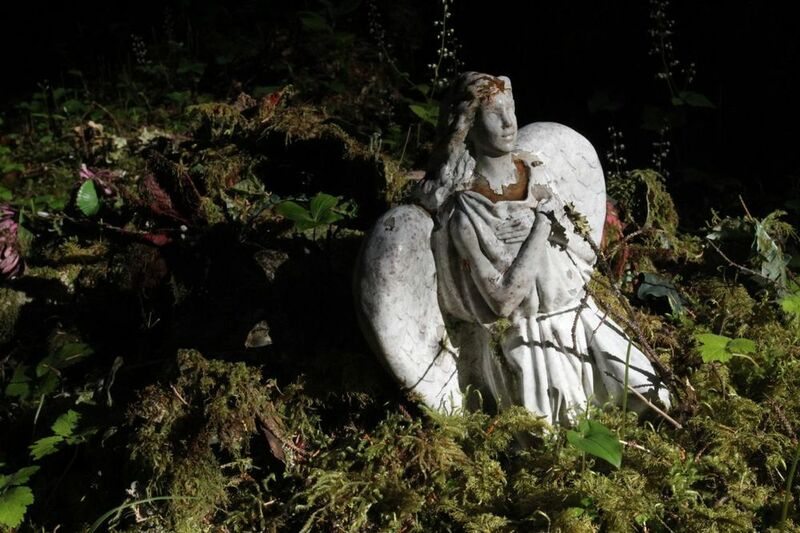 The graves are set within a mossy old forest, and I've never seen anything like it. It was eerie and lovely. 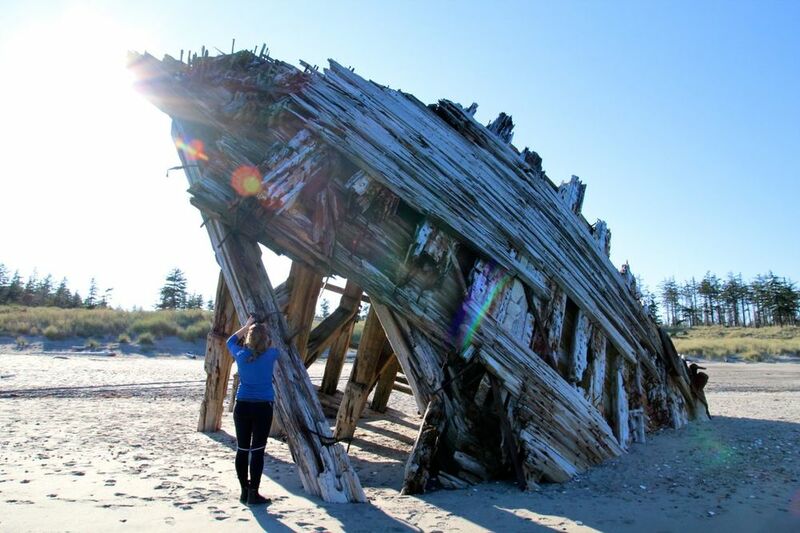 One evening, we hiked to The Pesuta Shipwreck in Naikoon Park; The Pesuta was a 264-foot log barge that ran ashore in 1928, and has been slowly decaying ever since. The ship may be battered, but it’s sun-bleached wood and rusty nails make for an imposing and romantic sight. Another afternoon, we worked on our computers for a few hours at Harmonie’s, a small café in Port Clements. The building is over 100 years old, and used to house the town's newspaper office. We met Harmonie, the owner, who was expecting her sixth child to arrive any day. Her partner proudly told us of her accomplishments, of which there are many. In addition to running the café and raising five kids, Harmonie is also a Canadian Ranger, a paramedic (the local Acting Unit Chief), a musician, a homesteader on 38 acres, and a former tree planter. In other words, she is one darn impressive woman. We had a hearty bowl of split pea soup with homemade bread, and listened to a tiny girl sing Les Miserables songs to an old, local logger. Needless to say, we enjoyed our time there.